Personality: Has an indecisive personality. Likes to do the right thing whenever possible. Around 5' 2", red wavy hair (usually covered by a backwards black cap), wears a pair of red fingerless gloves at all times. Originating Region: A small house in Keihoset Forest. His parents died when he was 10, and he's been living at their old house ever since. Special Equipment: Flame Fists (the red gloves he always wears)--Are used as a suppressant of his powers. Ever since his powers awakened, he was unable to control them completely, and his mother was able to enchant the gloves to stop them from getting out of control when he became emotional and his control over the flames was lost. 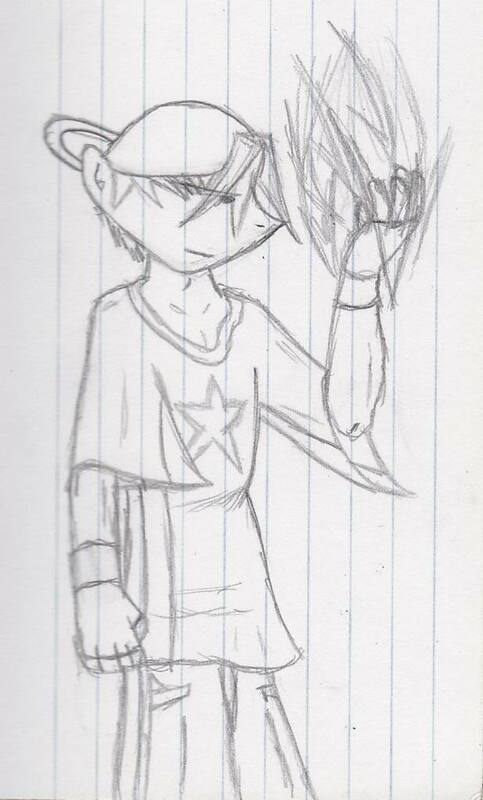 Special Powers: Can wield fire magic in combination with his fighting skills to produce hybrid magic/physical attacks. Flame Strike--Engulf his hand in flames and delivers a small explosion on impact. Pyro Shot--Fire a bolt of flame at an opponent. Shin Reppa--A barrage of punches from the left hand followed by a flame-bomb delivered from the right. En Ko Ken--Charge a ball of fire in the left hand, then smashes it with the right hand to send it flying. Hyper Ability: Comet Flame--Create a ring of fire infront of him and fire a massive wave of flame through it. Background Story: His father was a hero of Falborne Kingdom durring the war 10 years ago. His mother was a mage specializing in the element of fire. When he turned 10 years old, he got into a fight with a group of bandits with Max Dillon and his gang while visiting Rufturf with his parents. His dad showed up in time to see Seth blow one of them through a wall with a burst of flame. Fort the next four years, Seth recieved fighting and magic lessons from both of his parents until on his 15th birthday, they were attacked by a group of bandits. Seth hid in the forest while his parents fought them off. But in the end, they were overpowered and were killed. He's been living alone since then, training daily, and surviviing off the land. He goes back to Rufturf every now and then, and meets up with Max and his friends. Hobbies: Doesn't do much of anything, Likes his peace and quiet. Affiliation: Independent. Doesn't keep up with the affairs of the regions. Occupation: Self sufficient, hunter/trapper. Goes into town to sell his catches for money and food sometimes. He also goes to fighting tournaments and things of that sort to earn some quick cash. Extra content: There is a raven Seth has named "Rani" that follows him around wherever he goes. Even though he doesn't know why, he feels as though the bird isn't normal. And though it's never said a word to him, he talks to it sometimes and feels like it understands him.